Just like putting windows and doors on a commercial or residential property during the construction process, high-security barriers are an essential part of any development project. That’s especially true when the new design involves the monitoring of traffic getting through a specific area. The question is, what goes into selecting the proper high-security barriers to fulfil your particular needs? There are a plethora of factors that are taken into consideration when choosing high-security barriers to install. Each is an individual choice, and there is no right or wrong way to decide what you want to purchase and use for your property. In all, eight main factors go into selecting the right product to suit your requirements. You can use one, some, or all of these when deciding what you’re going to put in motion at your site. Design – How to best secure a specific opening is a common question when browsing for barriers. Some people may want something that works on a timer for instance. That would require selecting a barrier that offers automation. Cost – Many people first look at the price to decide if the product they are looking at is even an option. For some, budget restraints limit which barriers they can consider. Performance – Others have greater concern about how the barrier is going to perform when necessary. For the most part, the higher the price point, the more security components offered. Aesthetics – Barriers that look good, are invisible, or ones that blend in with the existing security attributes are a selling point for many consumers. Guarantees on corrosion – Anyone located near the coast and saltwater thinks about corrosion of their barriers and the warranty that’s included with a particular model or manufacturer. Treatment to prevent corrosion and a promise to repair or replace if it happens can make or break a sale. Risk factors locally – Some areas are at higher risk for criminal activity. In those regions, people want barriers that are going to be able to withstand whatever comes at them to protect what’s on the other side. Functionality – How easy the barrier is to operate and how it works can be significant selling factors for people that don’t want to spend a lot of time or energy figuring out how to control their new units. Existing relationships– Many consumers will only work with the companies that they have already built a relationship with. They know what to expect, and they don’t want any surprises when it comes time to make the investment in their security barriers. Advance Access offers a variety of security barriers that fit into these various selling points. They are available for installation across the nation to business owners and operators. 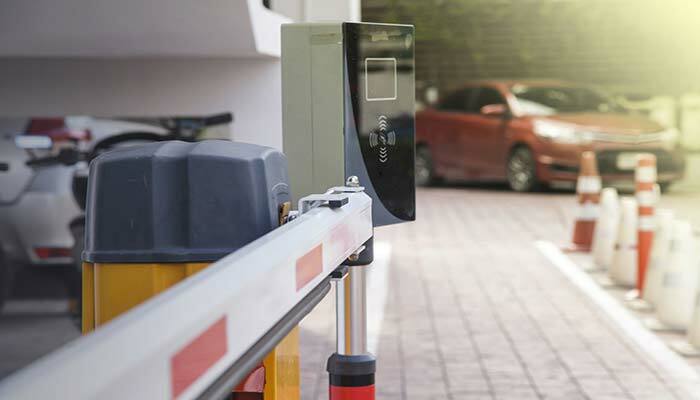 The benefits to having these barriers installed include being able to control who can access specific areas and providing security when unauthorized vehicles are trying to get through any particular roadway or structure. Instead of worrying about criminals coming in and stealing or causing costly damages, businesses and individuals can put their focus on other more important things. Atex Barrier – The rising and lowering arm on the Atex Barrier makes it perfect for the operational running of petrochemical, chemical and fertilizer, pharmaceutical, and oil and gas companies where close monitoring of who is coming and going at all times is essential. EB1400CR Trojan Barrier – Wherever there is not a practical or possible way to obtain central roadway foundations, the Trojan Barrier makes an excellent option for a high level of protection and security. EB750 Excel Barrier – Security control and car parking lots are what the Excel Barrier is most widely used for. It is capable of running automatically making it great for any traffic flow. EB450 Parking Barrier – moderate to higher traffic car parking lots and security is an ideal way for the EB450 Parking barrier to be used. Revenue collection and access control systems can quickly be integrated for seamless operation. EB950 Triumph Barrier – Security control and industrial parking lots are the best place for the nationwide installation of the Triumph Barrier. Integration with existing control systems is suggested for sites that have a wider road or those with lights, skirts, or signage needed for the boom. EB950CR Armstrong Barrier – this model has been tested independently for crashes and it has been proven to be in accordance with the PAS68 by the Transport Research Laboratory. Think about the benefits to your business and the people around you along with the other eight factors mentioned above. You can use those to determine which security barrier is going to be the best fit for your needs.